As simple as those steps might appear, implementing them in a retail store is complex. Getting any individual to remove their wallet and pay for an item in a retail store is the most difficult art of selling. This training course provide retail brands the requisite strategies for attracting shoppers into their stores, persuading them to buy when they are inside. It also outlines strategies for triggering repeat purchase and after sales care that leads to customer for life. At your convenience. Course materials are available online to enable you access them as and when you see fit. Your investment is 100% GUARANTEED. 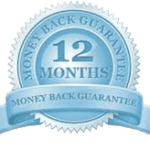 You have a full 12 month from the date of purchase to request a refund and your investment will be returned in full, no questions asked. When you book your training today, you will be redirected to your personal membership dashboard where you will have instant access to videos and other materials relating to the course you booked. The end of the training does not necessarily mean the end of your learning journey with the Business Education Center. Up to a month after taking the training, you will be entitled to email: info@theprofitexperts.co.uk or call: (+44) 020 8798 0579 with enquiries about the course you took. Retail Marketing: How to Influence Shoppers Buying Behaviour On-Demand Training £27.